Rachael and Calvin Kilpatrick with their four children. 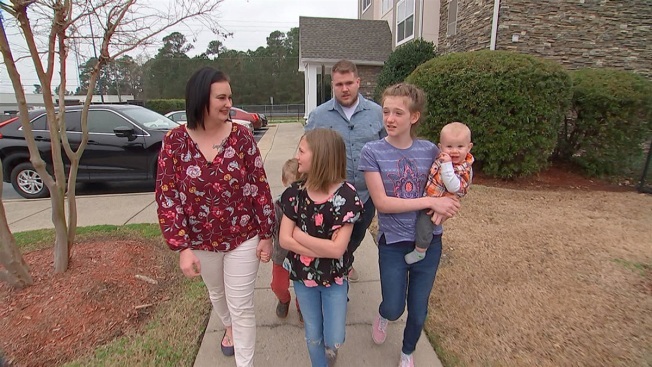 About 30 percent of military families live on bases, and most family housing on the bases are operated not by the military, but by private contractors like Corvias, NBC News reported. Alleged problems with housing provided by private companies— including lead poisoning, mold, and poor construction — drew national attention after a Reuters investigation last year. A survey conducted by Military Family Advisory Network found that 55 percent of more than 16,000 responses noted a "negative" or "very negative" experience with privatized military housing. "We let down some of our residents," John Picerne, Corvias' founder and CEO, testified at a Senate Armed Services Committee hearing last month. "I am sorry and we are going to fix it."